Thank you for reading my posts throughout the year and extra special thanks to everyone who kindly left comments. Thanks also to the guests who have visited my blog throughout the year, especially my friend Kirsten for her monthly round-ups about her writing experiences. I know from all the comments and feedback she receives how much her guest blogs have been enjoyed. You may know that two or three years ago I pinched Jen Gilroy's idea of having a guiding word for each year. 2016's was ANTICIPATION, which, for the year in which I signed up with my literary agent and then got together with Allison & Busby, turned out to be highly appropriate. Then this year's word - knowing I was on a 6-month deadline to write my next novel for Allison & Busby - was APPLICATION, which turned out to be a polite word for HARD-GRAFT(!). You'll be able to read the results of my Application/Hard-Graft next June, when A Respectable Woman is published. I can't resist sharing with you (again!) 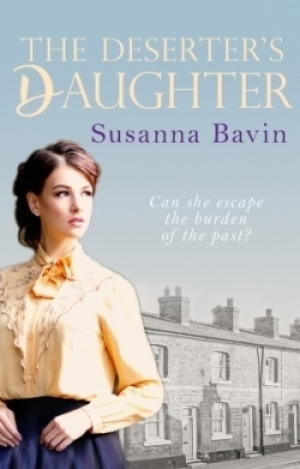 my two beautiful covers for The Deserter's Daughter. It has been an exciting year. 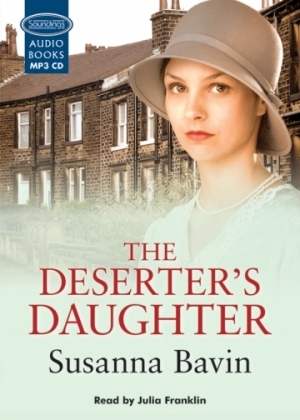 Thank you to everyone who has read The Deserter's Daughter, and special thanks to those lovely people who have left reviews on Amazon and Goodreads. On a personal level, they are deeply appreciated and on a professional level, they make really do make a difference. I'm signing off for Christmas now. I'll be back in January, so I hope you'll come and visit me then. 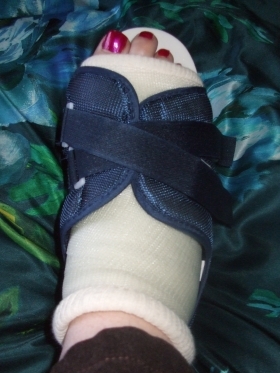 ....allow me to show off my unexpected festive footwear (ouch!) as I wish you a safe and accident-free Christmas. Jan, how kind of you. Thank you. I'm glad you're looking forward to reading A Respectable Woman. Get your library request in! Happy Christmas, Sue. Rest up and look after that poor foot of yours. You’ve had an amazing year and I look forward to reading ‘A Respectable Woman’ next year. Carol, what a generous message. Thank you so much. Yes, 2017 had a been a great year and I have a lot to look forward to next year as well. Thanks, Jen, for all your kind support through the year. It's nice of you to put my pinching your idea down to inspiration! Thank you, Julie. I'm glad you are looking forward to reading A Respectable Woman. I loved writing it. Ouch, as you say! What have you been up to?? I hope you're okay. Thank you for all your support this year too, Susanna. I look forward to reading 'A Respectable Woman' next year and wish you all the very best for a Happy Christmas and New Year.